Swiss Navy premium personal silicone lubricant is a fantastic, long-lasting lubricant. The finest ingredients available are blended into the formula - for exceptional glide and slickness. This silicone lube is a staff favorite! Try this high performance, long lasting, silicone lube with a fantastic finish. The leak-proof bottle and top keeps überlube in and dust out. 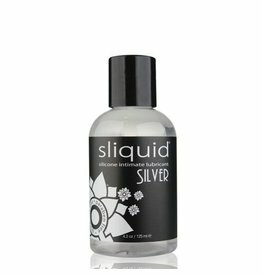 This silicone lube is a staff favorite! Try this high performance, long lasting, silicone lube with a fantastic finish.